theEword has been reappointed by Merlin Entertainments and Blackpool Council to lead the digital strategy for tourist campaign Blackpool’s Back. The Manchester agency has been tasked with further increasing online visibility of Visit Blackpool’s website and driving sales of tickets to Merlin attractions through an integrated campaign, incorporating content marketing, search engine optimisation and pay-per-click, social media and YouTube advertising. The reappointment comes after the success of last year’s campaign, which saw the website receive over 1.6 million total visits, compared to 970,000 the year before – a 67% increase. Running between March and September 2015, the campaign also led to a year-on-year increase in ticket sales secured via the website of 268% for Sea Life, 150% for The Blackpool Tower Dungeon and 123% for Madame Tussauds. 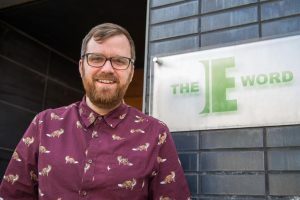 As part of the campaign, theEword will also provide technical consultancy, conducting monthly audits of Visit Blackpool’s website to maintain its efficiency in coping with the expected increase in activity. It is hoped that such activity will help boost public awareness of Blackpool’s attractions and encourage visitors from the North West and nationally. theEword has recently picked up other briefs from Manchester Metropolitan University Business School, The Student Housing Company and Berg Solicitors.